Where do I obtain an International Driving Permit? Who is eligible for an International Driving Permit? How long is the International Driving Permit Valid? How much does an International Driving Permit Cost? What is the average wait for receiving an International Driving Permit? and is acknowledged in over 150 countries around the world. IDP’s are not driver licenses but should be used as a supplement to one. An IDL is needed for travel more than 50 miles into Canada or 300 miles into Mexico and should be obtained prior to driving in any other countries. IDP issuance is restricted to persons 18 years and older who hold a valid US License. The IDP is valid for a period of one year from the date of issuance. A new IDP must be applied for each year. 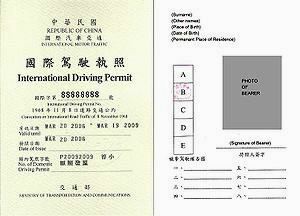 Note: International Driving Permit may not be issued more than six months in advance of desired effective date. The cost for an IDP is $15 plus applicable shipping & handling fees. Please allow 4 – 6 weeks for the IDL to be processed unless you pay for expedited shipping. and payment be included in the submission, only application received by mail or in person will be accepted.